Deerfield was so named, (by it’s then 20 residents) for the plentiful deer that grazed up and down the Hillsboro River. The year was 1898. Now the Deerfield Beach population ranges from 50 to 75 thousand depending on the seasons, and encompasses approximately fifteen square miles. 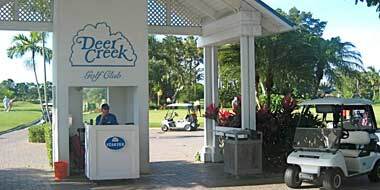 Located immediately south of Boca Raton, and just north of Fort Lauderdale, Deerfield Beach retains a relaxed charm that is reminiscent of the cozy beach towns that used to abound here on the gold coast. 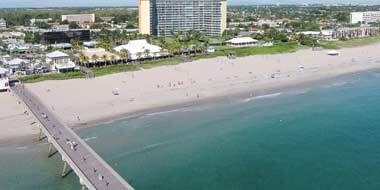 Deerfield Beach has one of South Florida’s Best and most accessible Beaches. It was designated a “Blue Wave” beach by the Clean Beach Council based on the Excellent Water Quality, Beach Conditions, Safety Services, & its’ Habitat Conservation Policies. Deerfield Beach retains much of that “beach town” ambiance from the fresh seafood at Pop’s Fish Market, to the Sand Volleyball courts (Olympic trial site), on the beach. 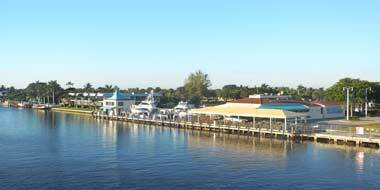 Our many canals and beaches offer the gamut in boating, fishing, surfing, and water activities. And the water temperature is always perfect! A wide variety of restaurants are offered, both on the beach and off, including the Diners, Drive-Ins and Dives favorite, The Whale’s Rib. Located just across from the Deer Creek golf community, the Quiet Waters Park facility features campgrounds, fishing, a skate park, and the longest “cable ski” course in the nation. Try it! Conveniently, the Fort Lauderdale/Hollywood International Airport is just 17 miles south. The Palm Beach International Airport is about 30 minutes north. Deerfield Beach offers both public and private schools within the city.